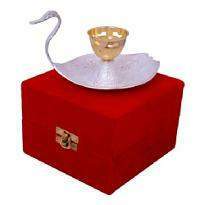 Navratri festival is approaching fast and you might be searching for some amazing gifts that you can gift to your near and dear ones. 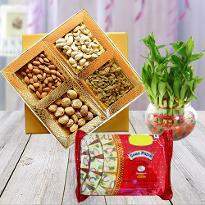 Share the happiness of Navratri by presenting gifts to your beloved ones. 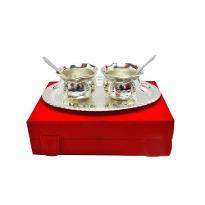 We have a huge range of Navratri gifts including pooja thali, sweets and many more. 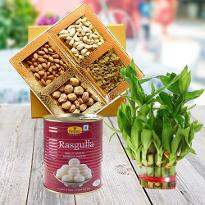 Apart from all these fantastic gifts, we also have a bamboo plant for you that can bring good luck and happiness in your life. 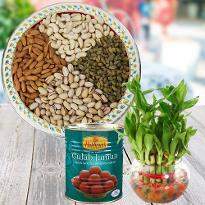 You can present this to your loved ones as a Navratri gift. 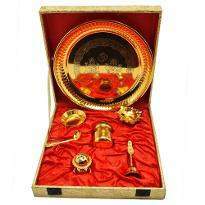 Explore our Navratri gift collection and buy for your loved ones now! India is a land of distinct culture and occasions. Navratri is one of the most vital festivals, being commemorated in the country from hundreds of years. It is the festival devoted to the worship of goddess Durga. People commemorate this festival 9-days festival with full devotions and enthusiasm. People worship the different avatars of Goddess Durga. Earlier, Navratri was connected with the fertility of the Mother Earth and farmers usually sow seeds and thank the Goddess for her favors and appeal to her for better yield. It is famously celebrated everywhere throughout the nation. Devouring is a major highlight of the commemorations and people serve Navratri special food on occasion. This festival is celebrated twice a year. The festival may confuse you one thing every time, i.e. what would be the ideal gift that you can present to your loved ones? But with Winni, you don’t have to worry about gifts for Navratri. You can send Navratri wishes to your loved ones in the form of gifts. 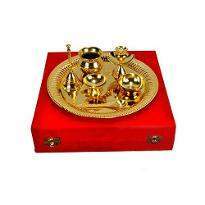 These gifts will definitely convey your wishes and blessings. 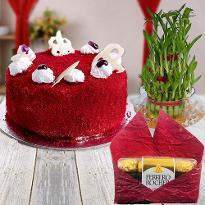 Share the happiness of this occasion by exchanging gifts with near and dear ones. Greet your loved ones “Happy Navratri “ by sending Navratri gifts online to the doorstep of your near and dear ones. 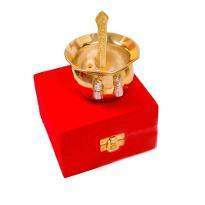 Winni brings a huge assortment of online Navratri gifts. 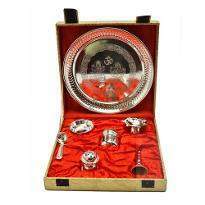 Browse our gift collection and buy for your near and dear ones. 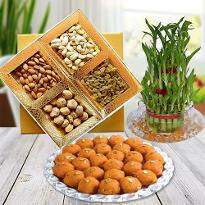 You can shop for sweets, dry fruits, bamboo plants, pooja thali and many more. 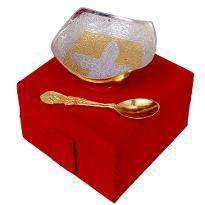 Whether you are living in USA or UK, you can send Navratri gifts online to India. Winni understands the emotions attached behind sending gifts online to near and dear ones.Therefore, we are providing several delivery services so that you can send your emotions conveniently. We provide same day delivery, midnight delivery, earliest 4 hours delivery, express delivery, standard delivery and early morning delivery. So, it's up to you when you want your gift to be delivered at your loved one’s doorstep. You can also enhance your Navratri gift by teaming it with flower bouquets. This floral gift will definitely bring an adorable smile on the face of your near and dear ones. So, go ahead and buy for your loved ones now!